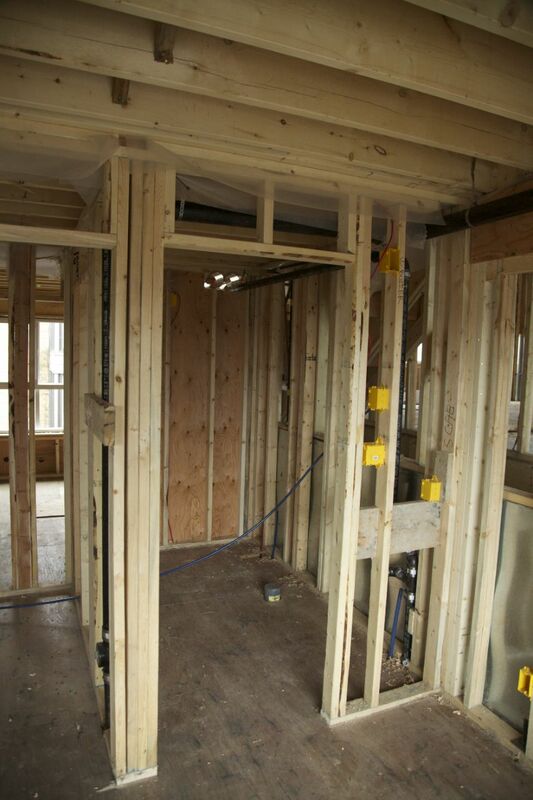 Earlier in the week we arranged with our real estate agent to get a look at the progress being made on our new place. Sadly, Saturday wasn't the nicest day, but it was still really great to get a loo inside and see how the construction was progressing. 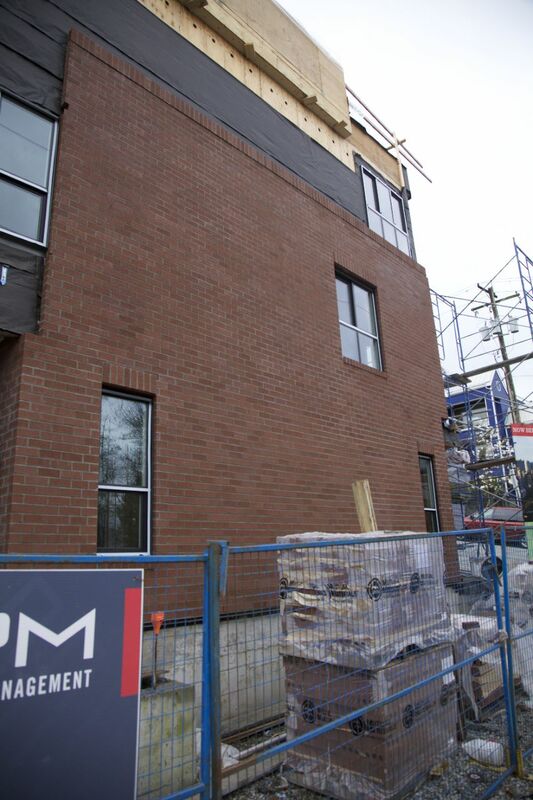 On the outside of the building, the brick work was starting to progress. There are up to the second floor on the front side of the building. On the main floor, in what will be the living room. Looking out onto Alder. The dining room/living room from the kitchen. The master bathroom from the bedroom on the second floor of our unit. The better-than-expected view from the second bedroom. The door to my office, off the master bedroom. Where the kitchen will be. Looking up the stairs from the front door. 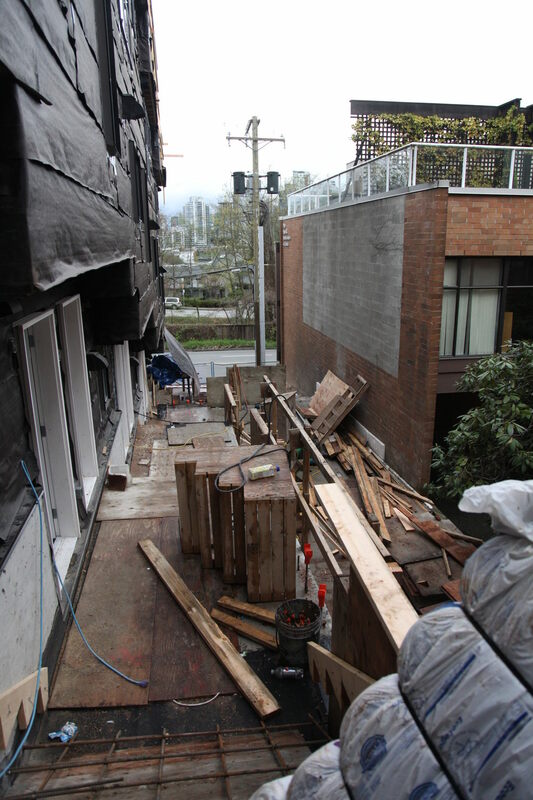 Unfortunately we were not able to get up onto the roof deck, but i think I shared pictures of the view previously. It was pretty cloudy and rainy, so there wouldn't have been much to see anyway. We went out for a bit of a walk after the viewing, despite the weather not being that great. We ended up out by the Olympic Village. As you can see, it wasn't the nicest of days. Sadly, I think this weekend will likely be the end of the cherry blossoms. With the wind and the rain today, it was like it was snowing. The air was full of the blossoms as they came off the trees.